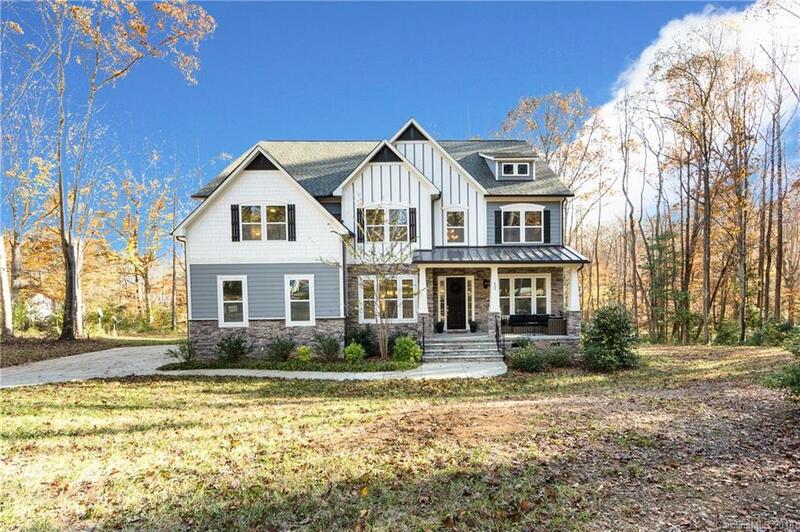 Unique custom waterfront craftsman style home with a modern open floor plan built in 2014. Features 4 beds, 4.5 baths, over 5,300 sqft. Located on a private wooded 1.46 acre lot along a quiet cove on Lake Wylie. Unique architectural features include: Open concept first floor, 2 story great room open to sunroom with stunning panoramic views of the water and forest, over 1,000 sq ft 2nd floor Master Suite, and a large Bonus/Loft area on 3rd floor with a private guest suite. Some of the custom features include: Double sided gas fireplace in living room, oversize chefs’ kitchen with gas stove, large island, granite countertops, walk-in pantry, upgraded dark wood cabinets with soft-close hardware, private on-suite bathrooms with all 3 guest suites, separate his and hers master closets, large separate master sitting room, and a 6 foot tub in the master bath.